I’d like to take a moment to speak to you about what you can anticipate will take place when you work with me regarding emotional or mental concerns, psychiatric concerns, and yes, even what people call addictions and those concerns. As we begin, I’ll ask you to relax, sit or lie down (whichever works better for you) and close your eyes. I am looking before we even begin to do healing work, to establish by you telling me as we share on a 1 to 10, if 10 was the high and 1 was the low, 10 was the worst and 1 was the least of what we’re feeling, I’ll have you establish by picking that number the severity of the things you are feeling. I will then commence to begin working healing in you, on you, all aspects of concern that would be connected to and affecting and manifesting those symptomologies that people would talk about. That you would be telling me, the emotional, psychological, mental, or yes, addictions. Once you’ve put a number to quantify the worst to the least, you and I will go to work. You can keep your eyes closed, sit or lie down. As we work, as you and I continue this process, there will be a period of time that goes by where you are relaxing the entire body inside and out. Every aspect of it is being worked on and reinstated. After some time has gone by during our healing session, I’ll ask you to sit up, open your eyes. If you are sitting up, we’ll take a moment. In either case, we’ll discuss what’s begun to transpire, because yes, there will be things that my clients feel, you will feel. I will discuss with you the degree of what has shifted then. If things were a nine out of 10, with 10 being the worst and 1 being the least, and they were telling me they were at 9 before we began, what you and I will notice on the backend is how much things have shifted in these areas. Physiologically, emotionally and otherwise, how the numbers have been lowered. That is the process as you and I move through healing of all of these types of concerns. That is the process you can anticipate when you come to me that you and I will work with to bring about the changes and the healing that you’ve been waiting for. Feel free to explore my website to learn more about all of the conditions that I treat using holistic healing methods. 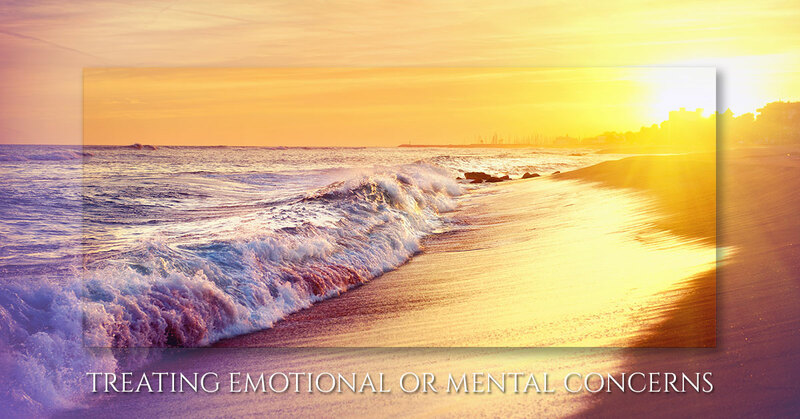 You can then purchase a session for yourself to begin the process of healing from depression and other mental and emotional concerns directly through my website. I look forward to helping you find peace and freedom through alternative healing. Don’t wait any longer to start feeling better and get started with a trusted medical intuitive today by exploring my website and contacting me to start your sessions.